Optimal engineering designs are difficult problems to solve. Often, the optimization problem is difficult to formulate, and if it can be formulated, the number of design variables is often substantial, the design variables may be continuous, discontinuous or discrete, the relationships between design variables and performance indices is generally nonlinear, and the optimization problem involves multiple competing objectives. As if complex, nonlinear, hyperdimensional and multi-objective optimization problems were not difficult enough, “real” designs must also be manufactured in a world where exact tolerances are generally not achievable, and therefore robust-optimal design solutions are a true measure of optimality. However, the problem is not hopeless, as it is ever more feasible to solve the “approximate” problem via surrogate modeling methods. Of particular interest, is the use of Non-Uniform Rational B-splines (NURBs); a geometric modeling technique that inherently embodies several unique approximations. NURBs models are defined upon networks of control points each associated with a homogeneous (position) and non-homogeneous (weighting) coordinates, a set of knot vectors and a set of model order parameters. These parameters imbue the metamodel with its own approximation, in the form of a graph, which can be exploited for design optimization. This talk will examine the underlying theory necessary to model and solve design optimization problems using graphs derived from NURBs-metamodels and demonstrate the application of these methods to engineering problems of interest to the design community. Dr. Cameron Turner holds a BSME from the University of Wyoming with a dual focus on Solid Mechanics and Thermofluids, an MSE in Mechanical Engineering from The University of Texas at Austin with a focus on Intelligent Robotics, and a Ph.D. in Engineering also from The University of Texas at Austin with a focus on Design and Optimization. 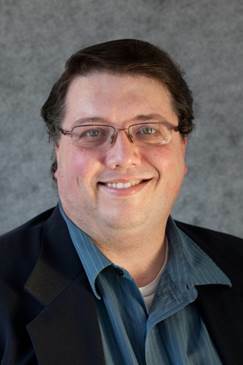 He joined the faculty of the Colorado School of Mines in 2009, and served as the Director of the Engineering Design Program for the College of Engineering and Computational Sciences in 2012-3 after chairing the Senior Design Leadership Committee for three years. He has chaired the ASME’s Computer Aided Product and Process Design Committee and is currently a member of ASME’s Computers and Information in Engineering Division Executive Committee as well as a guest scientist at Los Alamos National Laboratory.